The CRSSD Festival Fall dates are out! And the good news ... CRSSD Festival Fall tickets go on sale June 11th! Check back for updates and access to tickets! 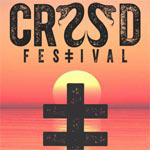 CRSSD Festival Fall 2019 is an electronic music festival in San Diego, and has grown into a highly-regarded event that avoids the worst of EDM trappings. Check out a lineup of techno and underground house at Waterfront Park in San Diego for two days of sun and music! Check out three stages with the ultimate in seaside beach scenery. It's a 21-and -up event, so you can check out mesmerizing sunsets with a drink in your hand! The CONFIRMED CRSSD Festival Fall dates are Sept. 28 - 29. The CRSSD Festival Fall lineup and CRSSD Festival Fall tickets are below! CRSSD Festival Fall tickets are not on sale. Tickets will go on sale June 11th at 11:00 AM PST! The CRSSD Festival Fall lineup has not been announced yet. Check back for updates! Who do you want in the CRSSD Festival Fall lineup?